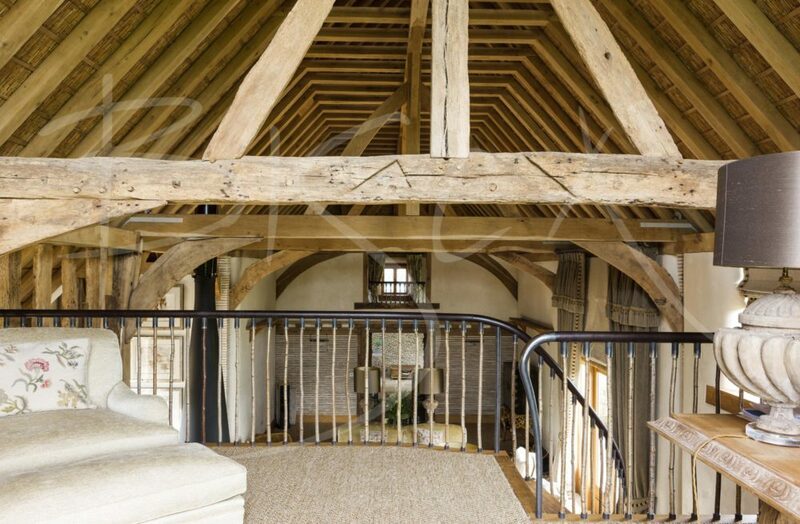 Two green oak stair designs for a 400 year old barn conversion in Suffolk. 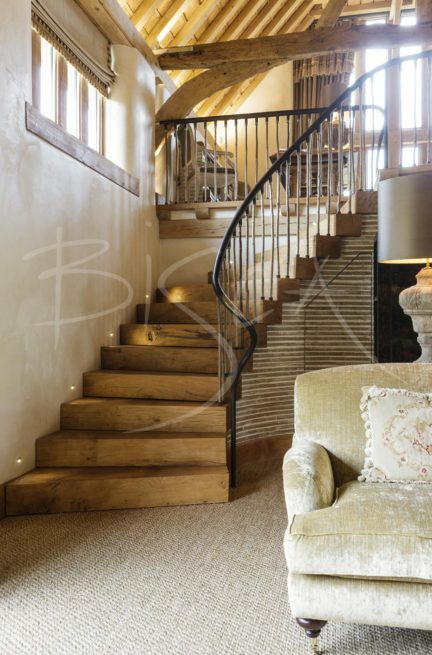 The main staircase comprises chunky green oak treads, stacked on top of each other in a helical fashion. The treads create a curved inner edge to the staircase. At first floor level a kiln dried oak nosing finishes all floor edges and provides a fixing point for the balustrade. The balustrade is a steel handrail clad in dark brown leather, mounted on coppiced hazel uprights. The main section of balustrade starts at ground floor level with a curved stainless steel forged and tapered newel. 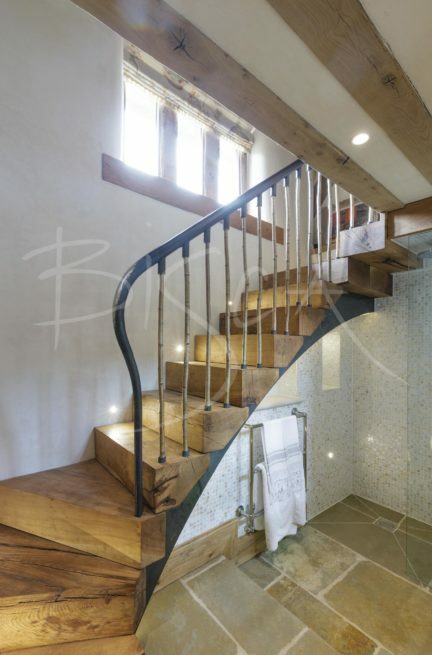 The second staircase is also made from chunky green oak treads stacked on top of each other, this time in a linear arrangement with a quarter landing. At first floor level a kiln dried oak nosing finishes floor edges and provides connection points for the balustrade. 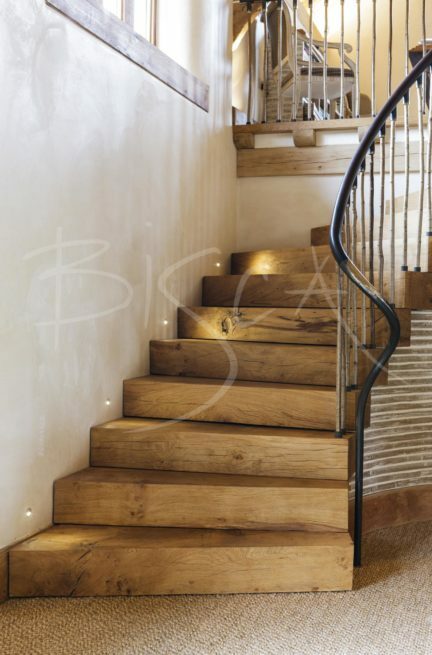 To obtain a guide price for your own staircase based around this design or using similar materials, please quote ref 3362. 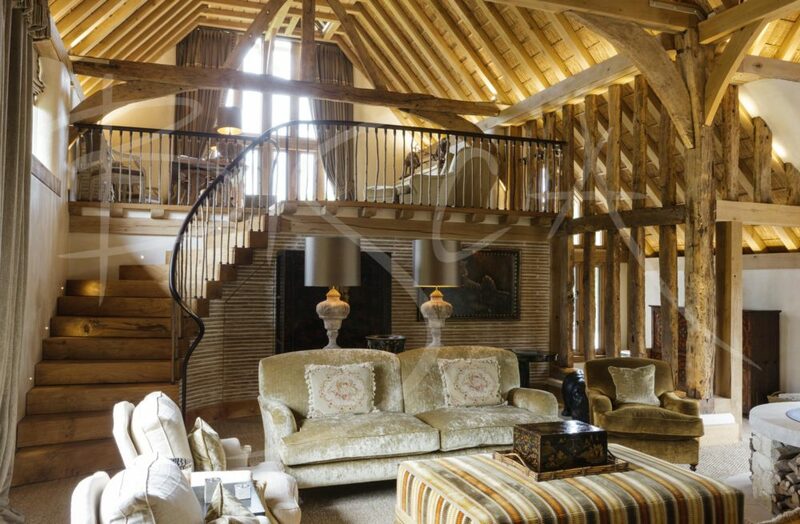 To find out more about oak stair designs please speak to one of our sales team.